As the year draws to a close so did the life of an amazing man Professor David Plowman. I was fortunate enough to be taught by David who was a Winthrop Professor in UWA Business School. He was the man who started me on my doctoral journey back in 2002. Let me share with you some of David’s story. At the age of ten, David arrived in Fremantle ( his brother Jim had arrived in Australia three months earlier as David was too sick to travel). David was one of just 18 child migrants on board the ship and one of 310 Maltese child migrants to arrive in Australia in the years between 1950 and 1965. The brothers spent one week at Clontarf Boys' Town before being settled in Tardun, 500km north of Perth. There, they attended St Mary's Agricultural College. This meant an unfamiliar institutionalisation with its disciplined routine; physical labour; regimented time-table; mass-produced meals; communal dormitories, showering and washing amenities; and a brutal pecking order. David did not take this opportunity for granted. From 1993 to 1999 he was the Foundation Director of the Graduate School of Management at UWA. Prior to this appointment he was the Professor of Industrial Relations and Organisational Behaviour at the University of New South Wales. 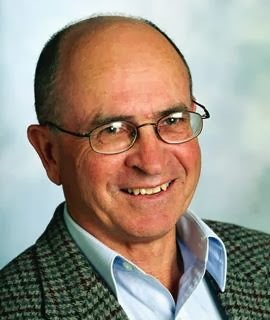 Professor Plowman holds an Honours degree in Economics from The University of Western Australia. He won a scholarship to Melbourne University where he completed his Master of Arts degree in industrial relations. He completed his doctorate on the role of employer associations in Australian wage determination at the Flinders University of South Australia. He holds Graduate Diploma in Teaching from the University of South Australia. In 1994 Professor Plowman was elected a Fellow of the Academy of Social Sciences in Australia in recognition of his scholarly achievements. These include the authoring or co-authoring over 20 books and over 130 journal articles. His writings have been in the areas of wage determination, employer associations, trade unions and Australian industrial relations. In 2012 he was recognised in the Queen's Birthday Honours List, becoming a member (AM) Order of Australia in the General Division. But there is much more to David than this, he was a very hard worker, he was determined, forgiving, tolerant and generous with his time. He had a strong moral compass and faith in God that guided him. He loved a joke, a glass or two of red wine and the football. He was a husband, a father, a brother, a friend and he was my teacher and mentor… how blessed I was to know and be taught by him. How very valuable are his leadership lessons. Get throughout touch with 1-855-637-4055 to acquire a skilled palm readers. I'd really like take your own time to inform you information about MY OWN latest the ideal psychic content page. I have been functioning seriously tough, thank anyone for enabling me to share the with you.